Have you had following experiences? 1. When you put a mug beside computers or paper document, you will wet your computers or files if you knock down the mug by accident. 2. A common mug is hard to stay stable when it is in your driving car. 3. When your kids play at school, they may knock down mugs and the boiled water scalds other children. This product can help you avoid all above embarrassing experiences. It is a good gift for you, your colleages and your children. Research shows that coffee drinkers can save nearly 23 pounds of paper cup waste by toting around a reusable mug. 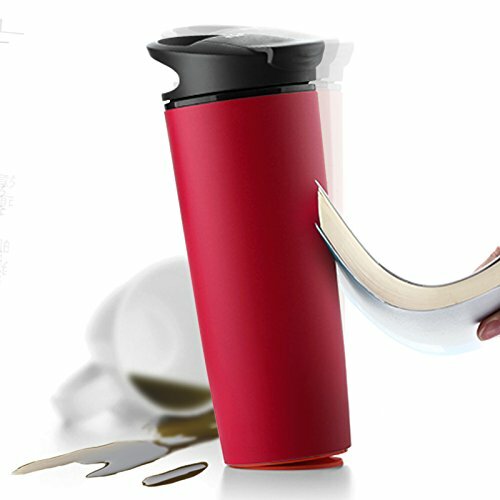 By using this mug, you will both help the environment and also save money by taking your coffee, tea, water or juice with you in a reusable container instead of buying disposable cups or water bottles as you go.